LadyBoss makes supplements for women including "fat burners" "shakes" and "sleep optimizers"
LadyBoss® was founded by fitness professional, Kaelin Tuell Poulin, in 2014 with the mission of “helping women lose weight and love themselves again”. LadyBoss LABS is a branch of the company offering nutrition products for faster weight loss and fitness results. The 5 products, called the “transformation system” include 2 workout drinks, a meal replacement shake and 2 supplements; the company states that all of the products should be used together in order to slim down and tone up. This review is specifically about the Lady Boss Lean Shake, which is promoted as one of the best-tasting weight loss shakes. But despite the fact that many Lady Boss Lean reviews show users raving about the taste, others reveal problems with the third ingredient in the formula: maltodextrin – a highly-processed thickener/sugar that can cause less-than-desirable side effects. Taste: Super Yummy or Super Sweet? Lady Boss Lean Shake Conclusion: Empowering Products or Elaborate Scam? 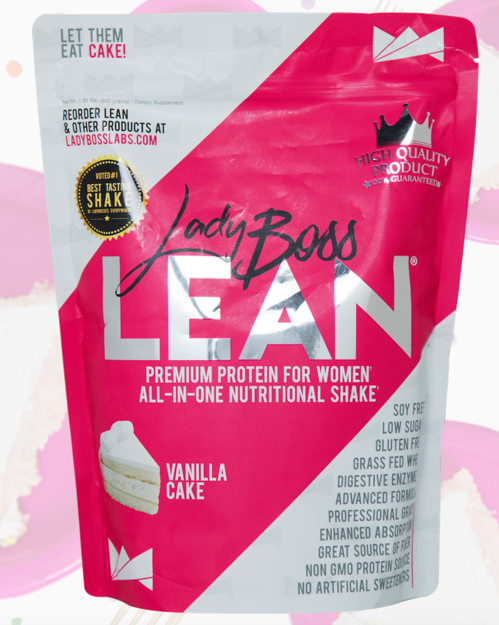 The LadyBoss Lean Shake comes in just one flavor: Vanilla Cake. Now, this definitely sounds like a scrumptious flavor (if you like vanilla cake! ), but not if you don’t. You definitely need to have a sweet tooth to crave this shake! And sure, you can add in additional ingredients to change the taste when blending up a smoothie, but if you want to mix up a quick shake on-the-go with just water or milk, you can’t. 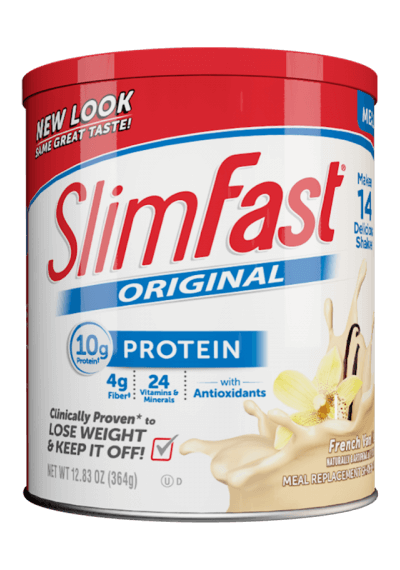 The fact that the meal replacement shake tastes good is great, since you won’t stick with a weight loss program otherwise. However, there were a handful of Lady Boss Reviews stating that the shake was too sweet for them, or they weren’t wowed by the taste and it was just “okay” for all of the hype. Starting with the calorie amount, this shake delivers on a low-calorie shake with just 100 calories per serving. 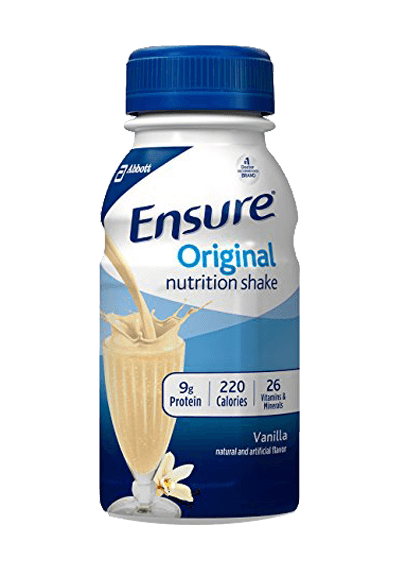 That’s a great number for a weight loss shake, since so many meal replacement shakes are loaded with calories that make it difficult for people to stick to a daily dietary regimen and meet their goals. 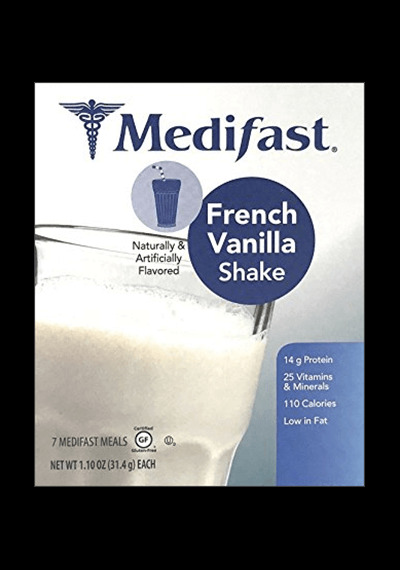 With 100 calories per serving, you can add a variety of healthy ingredients into your shakes without worrying that the calorie count will creep too high. And you can therefore blend up yummy, healthy smoothie recipes that ensure you’ll have variety in your meals and in your day. 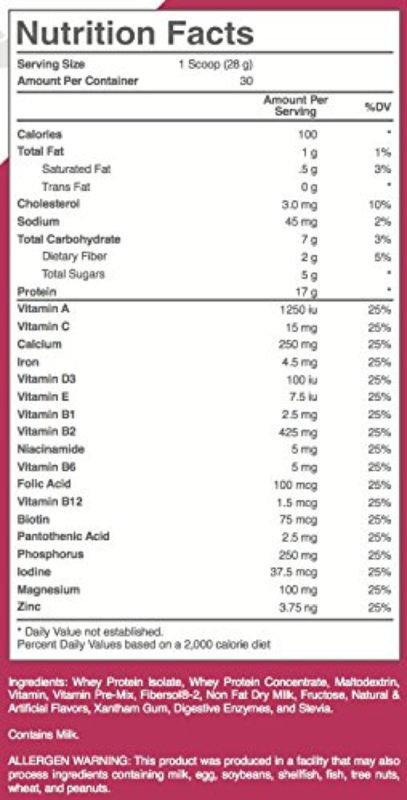 Each serving of the LadyBoss Shake contains 17g of protein, which is a good amount for a meal replacement shake. 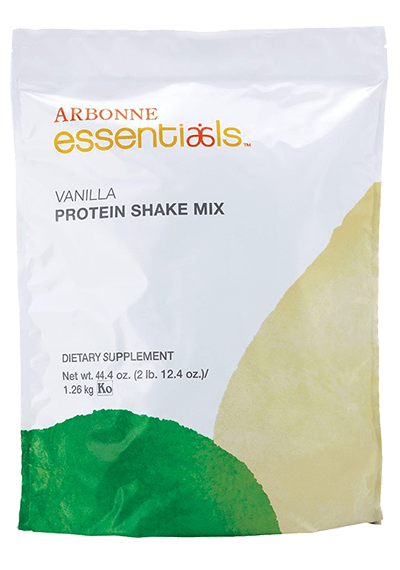 The protein in the shake is what boosts your metabolism and energy and keeps you full and satisfied, along with fiber. Protein is also low in calories, yet filling. 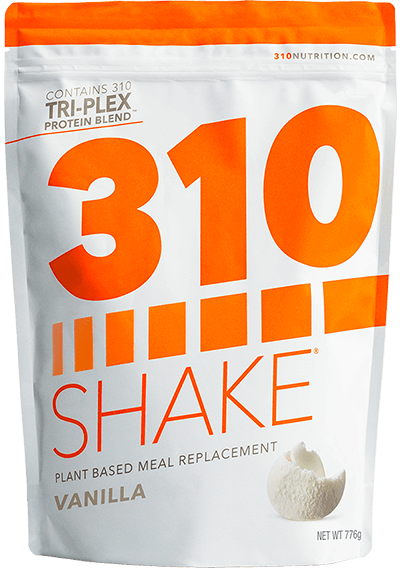 The type of protein used in the shake is a grass-fed whey isolate and whey concentrate blend, which has no GMOs and is rBGH hormone free. 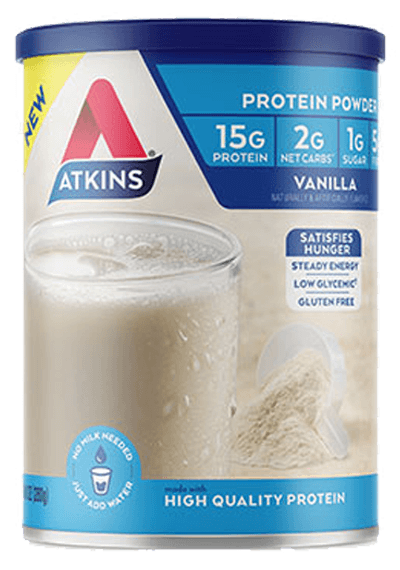 We love that these proteins are clean and healthy, and whey is a good protein choice since it contains a large range of essential amino acids that help you build muscle and lose fat. Fiber is one of the two most important ingredients in a meal replacement shake, along with protein, since it forms the bulk of the shake and is responsible for keeping you full and satisfied. Having adequate fiber in the shake also helps streamline your digestive processes and rids your body of toxins. 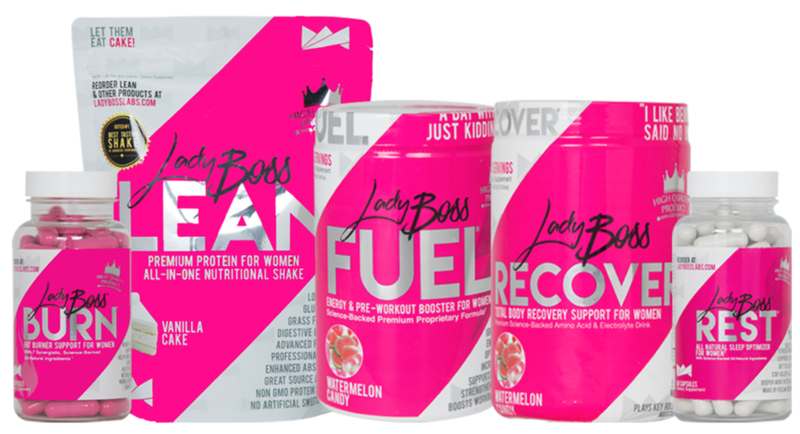 The Lady Boss Shake uses a “patented fiber blend” called Fibersol-2 in their shakes, which the company states gives each shake its creamy texture. 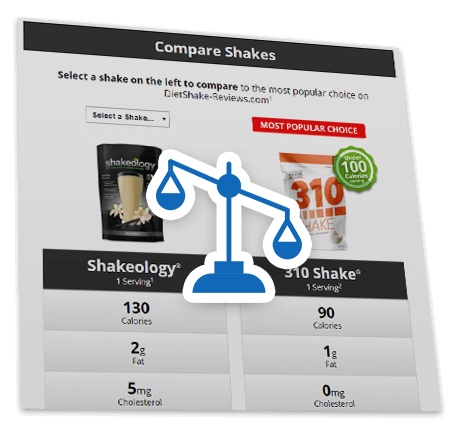 The problem is that each shake serving only has 2g of fiber, which is not enough in our opinions. For a weight loss shake to fill you up and hold you over, it should have around 5g of fiber per shake serving. 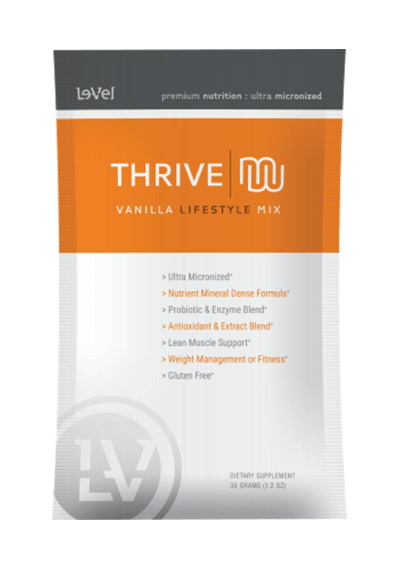 Especially since this shake is designed to replace a meal, it needs to be well-balanced and contain essential vitamins, minerals and whole food nutrients. 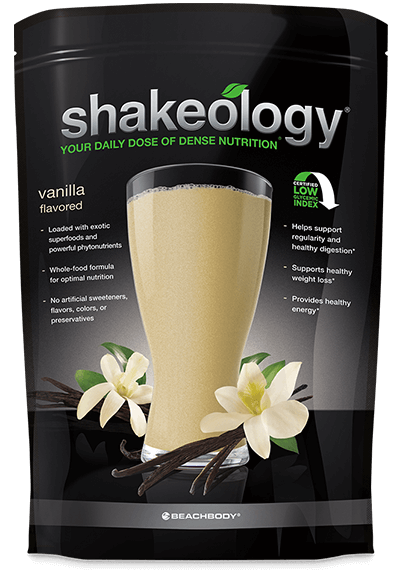 The LadyBoss Vanilla Cake Shake includes a vitamin/mineral blend with 18 vitamins and minerals including vitamins A, C and E and minerals magnesium and calcium. The blend also includes biotin, a B vitamin that promotes healthy hair, nails and skin. 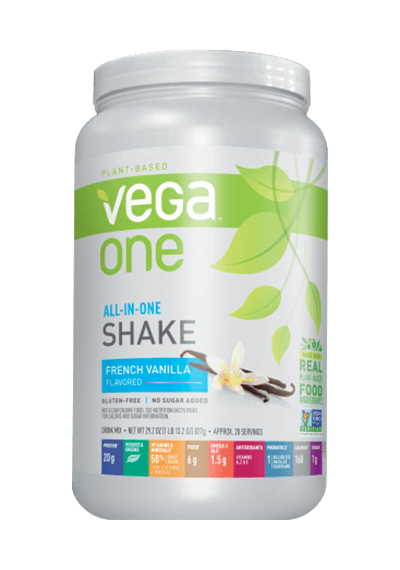 The shake also includes digestive enzymes, which were added in order to make all of the ingredients in the formula easier for the body to absorb and digest. However, the shake doesn’t contain any type of superfood blend or probiotics. 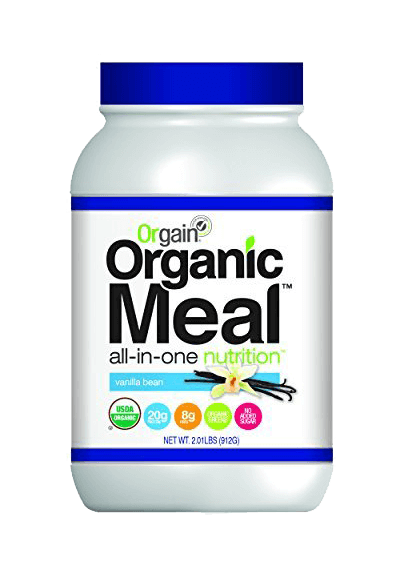 For a diet shake to qualify as a long-term healthy lifestyle product, it should offer as many real food nutrients as possible. Therefore, the addition of a superfood greens blend like you will find in our #1 rated shake, 310 Shake, would help you get in your daily intake of fruits and veggies and supply additional antioxidants and fibers. 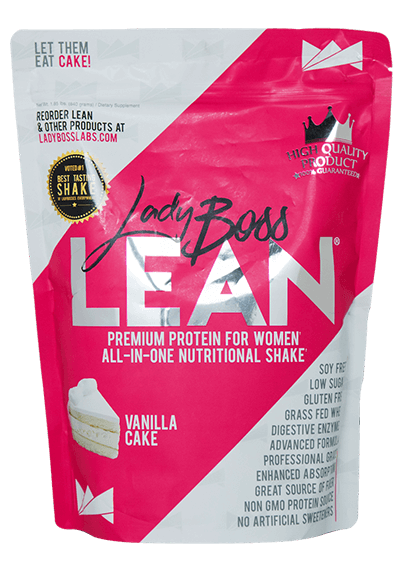 The Lady Boss Lean Shake has 4g of sugar per serving, which is not terrible. The lower the amount of sugar in each serving, the better, since sugar in any form is undoubtedly bad for your health and your weight loss goals. There are many diet shakes available that have less than 4g of sugar per serving, but there are also many with higher amounts. LadyBoss Lean Shakes also don’t contain any artificial sweeteners, which is great! Artificial sweeteners are far sweeter than actual sugar, and can mess with your body’s natural fullness signals, causing you to be extra hungry and eat more calories. The natural sweetener they use instead is plant-based Stevia. The only problem in this category comes in the form of another sugar that is used in the formula: maltodextrin. This ingredient is not just listed at the end of the ingredient list on the label… it’s the third ingredient! This means its very prominent in the shake. Another problem with maltodextrin is that it can negatively affect your gut health, suppressing the growth of good bacteria or probiotics, which are important for your immune system, leaving you more susceptible to disease. Moving on to the price of the shake, there are NO prices listed for any of the products on the Lady Boss LABS site, which in our opinion is quite frustrating to say the least. In fact, even if you click on an item and add it into your cart, you still are not able to see the price! Only after you fill out a form with all of your information including your full name, address, email address AND phone number, are you able to see the price of the items. 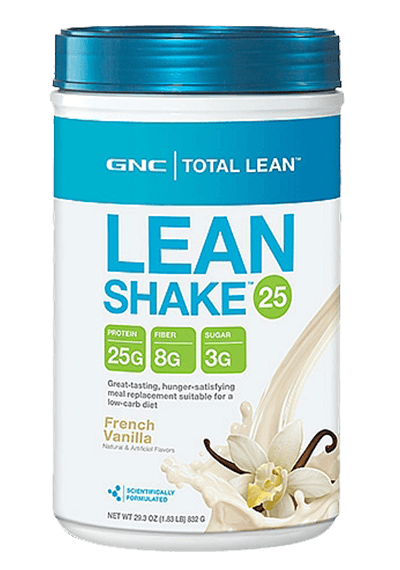 At that point, you can see that one bag of Lean shake is $57.95 (or $1.93 per serving), or you can get a discount if you buy 2 or 3 shake bags at once. 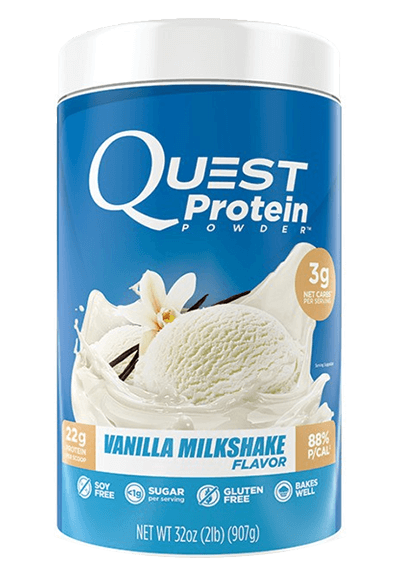 After getting past the inconvenience of not being able to see prices from the start, we think the price of this shake is reasonable, since it does include high-quality protein with the grass-fed, hormone-free whey, and also has a vitamin/mineral blend. However, there are also other shakes available that cost the same amount or a bit more and do not include a large amount of maltodextrin, plus offer superfoods and probiotics in their shakes; in our opinion, this makes them better suited to be long-term healthy lifestyle shakes. These panicked reviews were mostly from people who had just placed an order, and then could not reach Customer Service at all. They didn’t receive any tracking information for their order after days (some for weeks! ), and had no idea when and if it would arrive. Many of them questioned whether they had just been scammed for their money. Luckily, every single negative review did eventually include a comment from a LadyBoss Support Team member apologizing deeply for the frustration and making it right, but only after their complaint. On the flip side, Lady Boss Lean does offer a Facebook Community Group where members can join and encourage each other towards their goals. However, its not apparent whether or not they have professional nutritionists or fitness experts present to help answer questions or moderate. Since they are a newer company within the last 5 years, the group also does not have as many members as more established company social pages. For all of its girl power vibes, clever marketing slogans and “sparkle”, we weren’t overly impressed with LadyBoss. While the founder, Kaelin Tuell, is definitely qualified to coach women on how to enhance their health and achieve their weight loss and fitness goals, we thought the LadyBoss Lean Shake falls short. 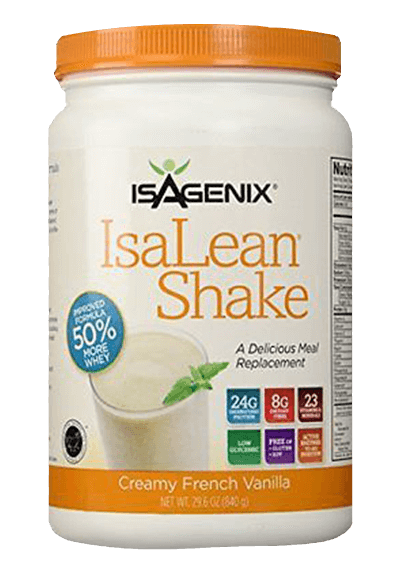 Women who are looking for a great support system to lose weight will find it with this company, but in the end it may end up being nothing but smoke and mirrors and a potentially great-tasting shake (that might give you blood sugar crashes and digestive issues!). But for women who need some encouragement to kick their weight loss goals into action, and don’t mind paying for a product until they slim down a bit, this might be the shake for you. Before you make a final decision, make sure to compare this shake to others on our site, so you can see which best meets your needs and find your perfect match.